There is no better inspiration to write about cinema than Psycho, a film that remains surprising and thrilling with every watch, even after more than 50 years have passed since its release. Being one of my favorite films, it would be simple, maybe even pointless to emphasize its virtues, which are many. Instead, I will play devil’s advocate in the next few lines and start with its faults, or should I say fault, one and singular, which prevented me from giving it a perfect score (elusive number 14th). So far, I have not found a satisfactory explanation as to the reasoning behind Psycho’s last scene. Had it run any longer, the last bit of film reel could have even derailed the whole movie, choosing to explain and break everything apart for us as if we needed explanation. There is a certain terrifying mystique about Anthony Perkins’ remarkable Norman Bates that is lost in the last scene, when Hitchcock chooses to become the therapist and lecturer. From my recent experience with Hitchcock doing this marathon that is now in its 5th entry, I have begun to get a better understanding of the great director. Though some may focus on the suspense and even slightly sadistic side of Hitchcock’s film making, there is also playfulness and lightheartedness in most of his work. His love for suspense is not simply a matter of taste, but a genre that invites for twists and unexpected turns, allowing Hitchcock to play with his audience and defy their expectations. I would argue that Hitchcock never made a perfect Hitchcock film. He only came close around the late 1950s and early 1960s with Vertigo and Psycho, which were coincidentally separated by the epic adventure of North by Northwest in 1959. Hitchcock’s perfect film would have been a combination of both of his masterpieces. On the one hand it would have the exacting and meticulous suspense of Psycho and, on the other, the desperation and torment of doomed love and deceit that is so beautifully displayed in Vertigo. So far in this marathon, Psycho is the most careful and detailed work I have had the chance to see from the great director. The humor of North by Northwest is almost non-existing because there is simply no room or time for banter. Psycho is relentless in its riddles and mysteries, choosing darkness over clarity, desolation over companionship, and murder over redemption. For Hitchcock, Psycho represented a return to the sort of intimately suspenseful films that had emanated from his peculiar phobias and his unique (some may say unsettling) views of women. It was not the kind of extravagant manhunt of North by Northwest, far from it. Psycho was smaller in scale, burrowed in a corner lot of Universal Studios and with a cast carrying considerably less star power. Psycho was less flashy without being less entertaining; less contrived, yet uniquely surprising; less charming without being unapproachable. A simpler, more restrained film. While North by Northwest appeared to satisfy the expected progression of a typical Hollywoodesque thriller, Psycho was as unadulterated as they come; the film seeming to be a far more special project for Hitchcock, one that had begun to boil in his mind before his previous project was fully finished. Borrowing from the words of the late Roger Ebert, I was also impressed by Hitchcock’s talent to deceive the audience, not necessarily on the big reveal, which is not that hard to anticipate, but on the nuances that make the film so surprising. There is, for example, great ability in building a story around a lead character like the beautiful Janet Leigh, only to dispense of her presence without much hesitation. It is in the unexpected break in the flow of the film that we become lost and afraid. Death in Psycho is almost casual, a consequence of misfortune rather than passion or anger. 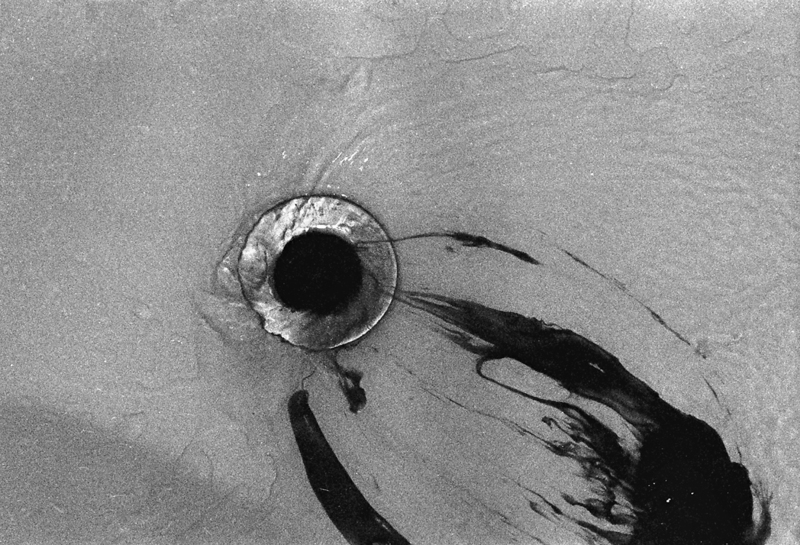 As surprising as it is, the staging of death in Psycho is to witness the finesse of Hitchcock’s direction. Instead of revealing everything for us, Hitchcock quickly shifts focus from the killer to the victim with the velocity of a stabbing motion. He chooses to focus not on the impact, but on the consequence. It is the inevitability and helplessness of death that scares, not the knife or the killer. Like Vertigo before it, Psycho had two plot arcs. The first centered on Marion Crane, a secretary who is running away from a crime she committed in the name of love. The second focuses on Norman Bates, a motel caretaker and a really strange man. For the role, Hitchcock cast Anthony Perkins, who would turn the character into a household name, transcending the film and becoming perhaps Hitchcock’s greatest creation. The transition between the two acts is Hitchcock at his very best. Carefully, he introduces us to Bates, slowly taking our attention away from Marion. Though we feel shocked or even frustrated at the sudden turn of events, we begin to root for Bates at an almost subconscious level. We may not be aware, but when Bates begins to dispense of the evidence of crime, we are already infatuated with him, wishing he could get away with it, if only for our own perverted amusement. Hitchcock does not only make us care for each character, but he leads us along, pushing our feelings in multiple directions, even if these feelings defy our own morality. 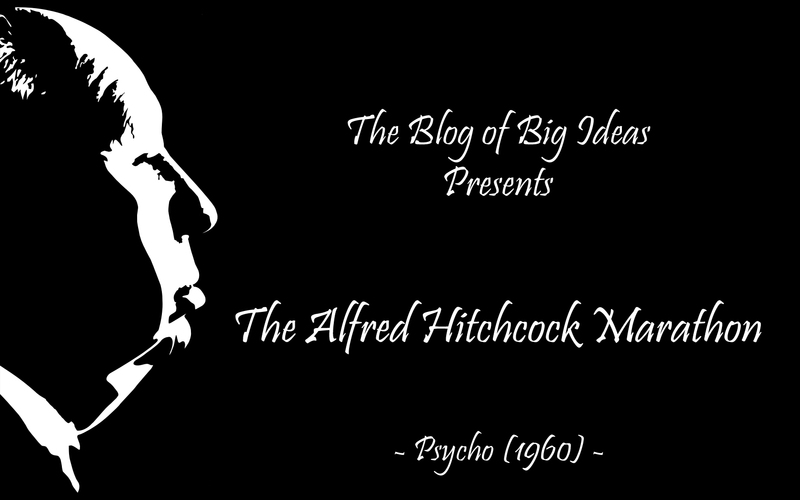 Psycho is a classic in big bold letters. A work of art that is impeccably constructed, and beautifully acted. Very nearly perfect if it weren’t for a rather unfortunate ending. Interesting idea about Hitchcock and making a “perfect film”. Is that possible for anyone? I’m curious to hear what you’d define as a perfect film. I might think of something like Casablanca, but even that classic has a few issues. 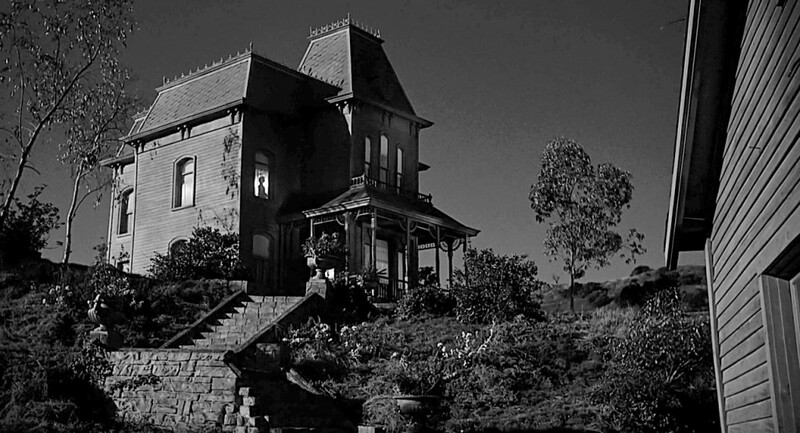 Also, you’re right to point out that the last scene in Psycho feels out of place and doesn’t really work. This type of closer was a common one during the Hays Code era, but it still feels weird for an unconventional film like Psycho. I don’t have any background about it, but it ends the film on a strange note. The idea of perfection as it pertains to this review does not really refer to what I consider to be a perfect film. My argument is based solely on Hitchcock and what I think he would have considered to be a perfect cinematic creation. See, I have begun to notice patterns and subject matters that are of particular interest for Hitchcock, especially after watching his films in quick succession. Like I said in my review, I have noticed an obstinate pursuit of suspense as a device to scare and surprise, but I have also noticed a very unique interest on women; seemingly distant, manipulative and persuasive women that is. Hitchcock’s views on women of the gorgeous kind are showcased with greatest honesty in Vertigo (from the films I have seen so far). These are two interests that are present in nearly all of his work, but it seems that in each film one definitely overpowers the other. My argument is that if he had made one where both interests hold equal weight, we might be talking about that film instead of masterpieces like Psycho, Vertigo or Rear Window. I see what you’re saying about combining the success of those masterpieces, but that seems like a possibly impossible task. Vertigo is such a singular film that pushing in suspense like Psycho and Rear Window might seem out of place. You risk ending up with a “kitchen sink” approach where everything gets jumbled and doesn’t lead to a more attractive whole. It’s an intriguing thought either way. I’m convinced perfection in any capacity doesn’t exist. But this is a good piece. My argument is not about perfection. My point is that, given Hithcock’s peculiar interests, I’m one who thinks ll of his films, even the better ones, fall just short of genius. I suggested the possibility of combining Vertigo and Psycho’s underlying themes because they probably illustrate the best of the two kinds of films he always strived for. One being the unrelenting and frightening pursue of suspense. The other being the psychologically damaging pursue of forbidden romance. He never quite managed to have both in equal measure in one film, and I think it is very possible to do so. Excellent review, Niels. A really engaging and informative read. I would love to revisit this sometime soon, or at the very least to check out the ending again. I don’t remember having any issues with its conclusion. I’m still bitter about having seen the 1998 remake first by mistake. Back in high school, I went to the video store to rent Psycho and accidentally grabbed the wrong one. I watched it anyway, and yeah, it was awful. I didn’t even see Hitchock’s film all the way through until just a couple years ago. It’s as timeless as ever.